The countdown for Seafood Week has been a hugely anticipated time here at Sykes, due to the success of Seafood Week 2016 with preparations in full swing throughout all our offices. Seafood Week celebrates the wonderful Fish and Seafood on offer and acts as a way of encouraging more people, to eat more Fish, more often. Whether that be to try Fish for the very first time or to entice you to try something that you’ve never had before. There’s no simpler way to explain why we love Seafood Week so much! There are various ways to get involved with Seafood Week. At Sykes, we are focusing on a number of promotions, recipe ideas and deals which will be available over the course of the week, starting tomorrow – 6th October and running until Friday, 13th October. These will incorporate the UK’s current Seafood trends and our specially selected favourite Fish and Seafood. “Sykes are delighted to be involved with Seafood Week 2017, with its aim of encouraging consumers to explore the wide range of products available, is one that we love the idea of. 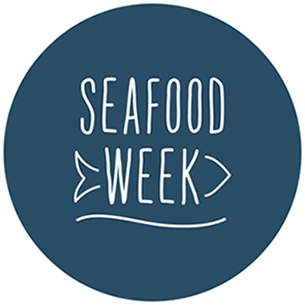 We hope that Seafood Week will raise awareness of our wonderful category and help consumers to discover something new or to re-visit some old favourites to make a real long-term change of adding Fish as a regular dish”.